Seedboms are the friendly bombs that grow. Guerrilla Gardening grenades filled with flower power potential. Join forces with nature to transform unloved spaces with a blast of life and colour! 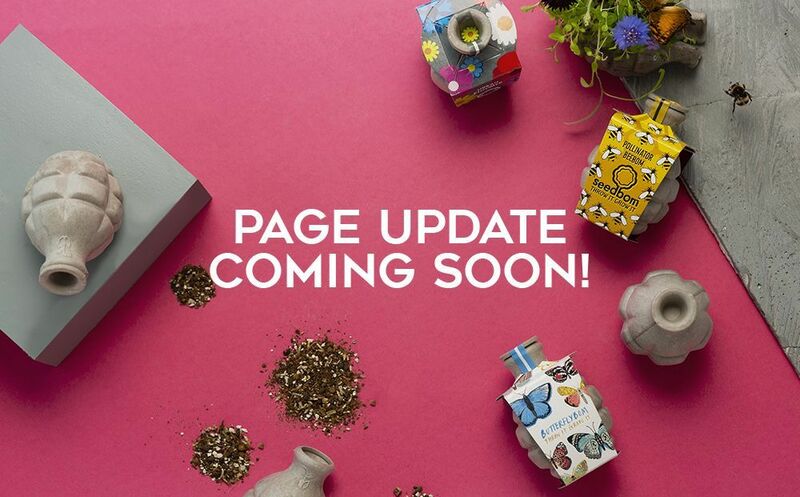 Filled with an explosive mix of organic peat-free compost and wildflower or herb seeds. Weapons of choice for Guerrilla Gardeners. Easy to use. You don’t need to be a gardener and there‘s no need to plant them. Seedboms split open upon impact with the ground and grow where they land. Help sustain bee, butterfly and other important insect populations by growing nectar rich wildflowers. A potent symbol of war transformed into a symbol of peace! Made with a starch and natural fibre based PaperFoam shell, organic peat-free compost, non-GMO seeds & 100% recycled and recyclable glue free cardboard packaging. Seedboms biodegrade into the environment leaving only plants behind. 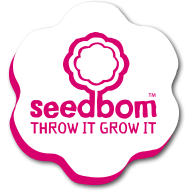 “Seedboms put the power to beautify into the hands of everyone”. Want to know more? Why not take a look at our Guerrilla Gardening, How they work or FAQ pages.